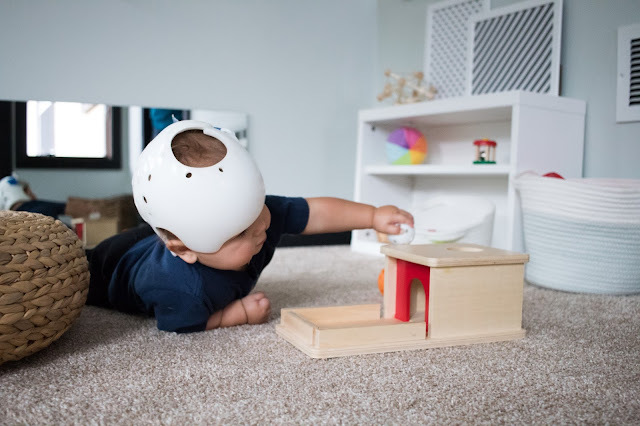 We've all played that game with babies where they drop something and start to look for it, right? They drop, you pick it up, they drop again, and it goes on and on and on! They slowly make the connection that objects that disappear from view don't disappear forever. And, they build trust that someone will respond to their needs when they need something. It's at the first sign of this game, that I bring out the object permanence box! This Montessori material is one of the most quintessential Montessori baby toys. 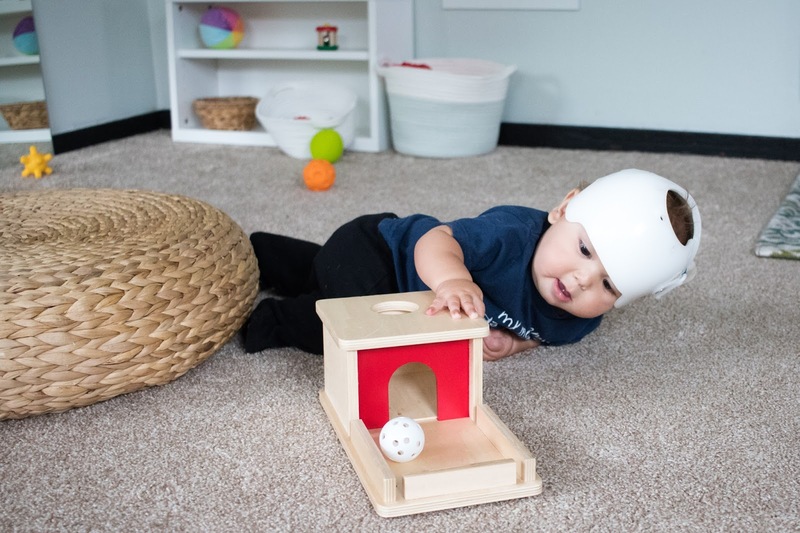 With this material, the baby drops the ball into the hole at the top of the toy. It disappears for a moment before rolling down the ramp and out of the little box. Then the attached tray catches the ball so that the work can be repeated. It shows them that while things may disappear for a moment, they come back. My kids have both LOVED the object permanence box. Both with Augustus and Nora I introduced around 8 months. When I brought it out, I showed Gus how to use it a couple of times. For the first week or two, Gus was obsessed with the ball! 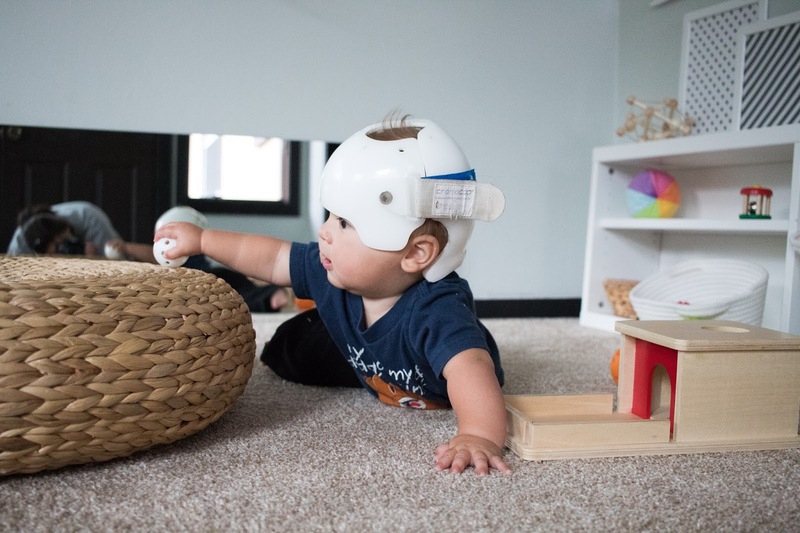 He just loved to grab it and hold it and chase around after it. Once the novelty of the ball wore off, then he started to attempt to place the ball in the hole. Which is a comedy of errors to watch, but very serious work for him! Over the past few days, he has been getting it into the hole more and more. And, it is pure delight when it pops back out! He just loves it. 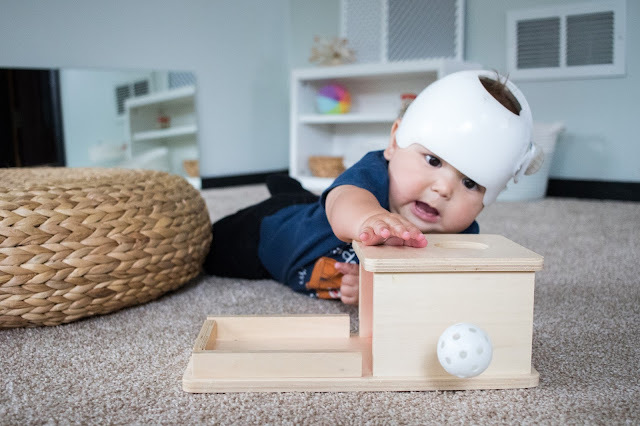 If he is like Nora, I expect this to be a popular toy choice for him for the next couple of months. 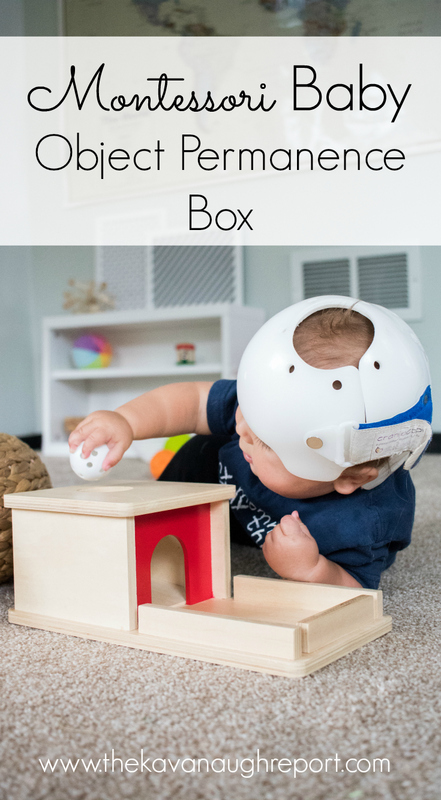 While we love our wooden object permanence box, this is actually a really easy DIY. Any box with a small ramp inside and a tray will work! 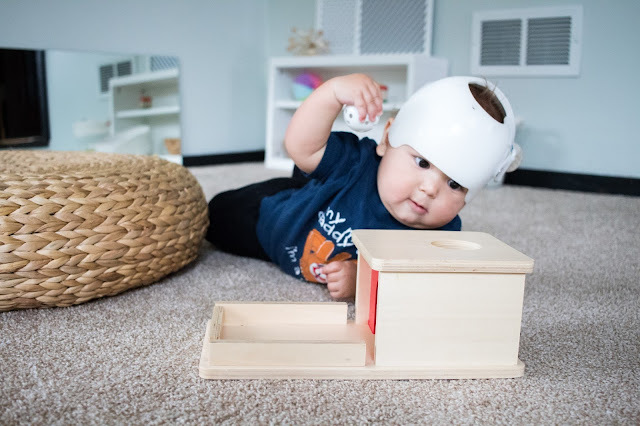 Have you used an object permanence box with your baby? Did he/she like it? I made one for my 8 month baby girl, she only likes to pick up the balls and taste them!